Transactional emails are vital to modern apps and services. These messages drive user engagement, conversion, and growth. Learn from data-driven benchmarks and best practices that define the state of transactional email today. 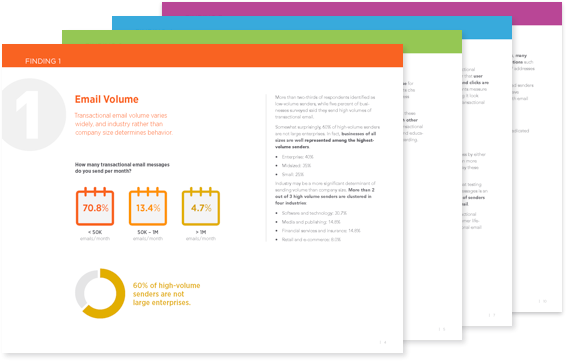 SparkPost surveyed more than 1,800 SaaS, e-commerce, and other software businesses to assess how they’re using transactional messages and other email notifications. SparkPost’s experts analyzed the results and deliver five core recommendations that will help every cloud app or service make the most of transactional email. Download SparkPost’s Transactional Email Benchmark Report today.